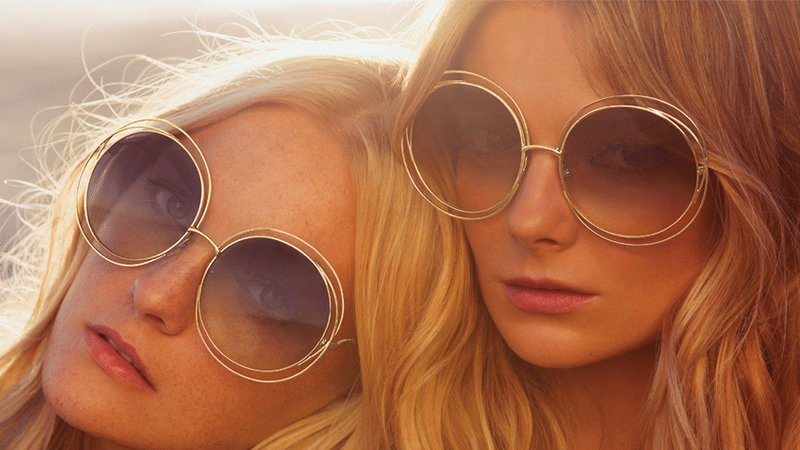 are no exception, love that carefree 70′s vibe! Love the glamourous flowy styles in the first image, very romantic! Chic round shape glasses too! 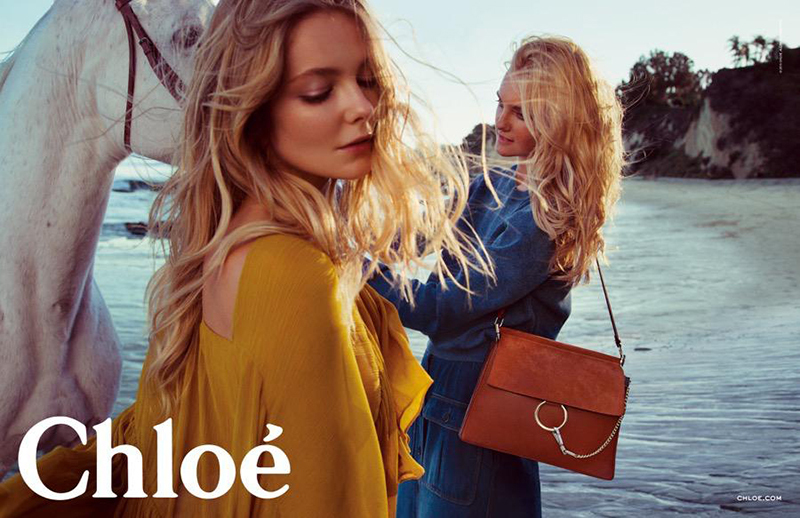 Love this campaign, LOVE Chloe!!! I wish they would do a remake of the Chloe bag from 2006, that was my favorite!!! What a beautiful campaign! It makes me long for Summer!!! Wow this is wonderful, I feel relaxed just looking at these photos! 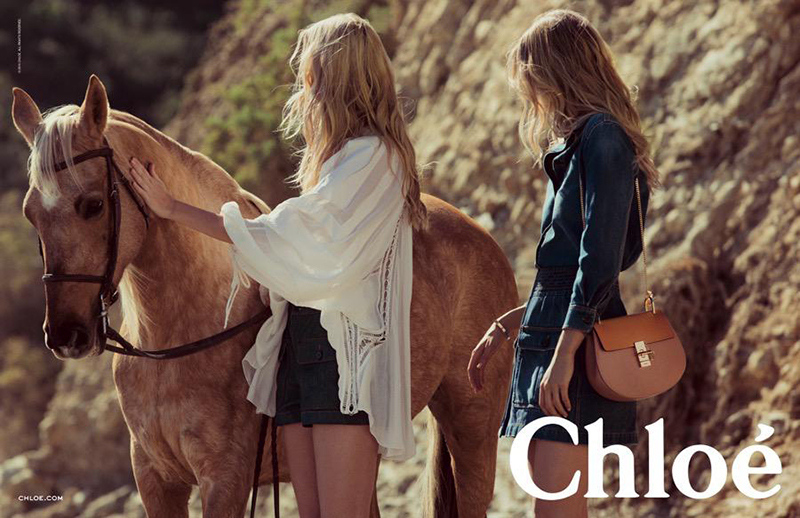 Beautiful campaign and I love these Chloe purses! As I saw the first photo of this post on Instagram, I was filled with excitement. I couldn’t wait to see the rest of the frames of the campaign. And they are just as beautiful as I imagined! Eeeee how exciting! I’m about to cry over how perfect the handbag in the second photo is. Wow! This is amazing! Love itttt. I love chloé so much! These shots are gorgeous! I’m obsessed with those sunglasses! As for the collection’s items, I especially love the round sunglasses, such a unique piece! Wow great blog post! Very inspiring blog and amazing photos really… I’m a fan! :) Keep up the great work! I love them! Especially the first one, I love how the dresses blow when they were walking! this is so airy and beautiful! i want them ALL. Her designs are always so beautiful! 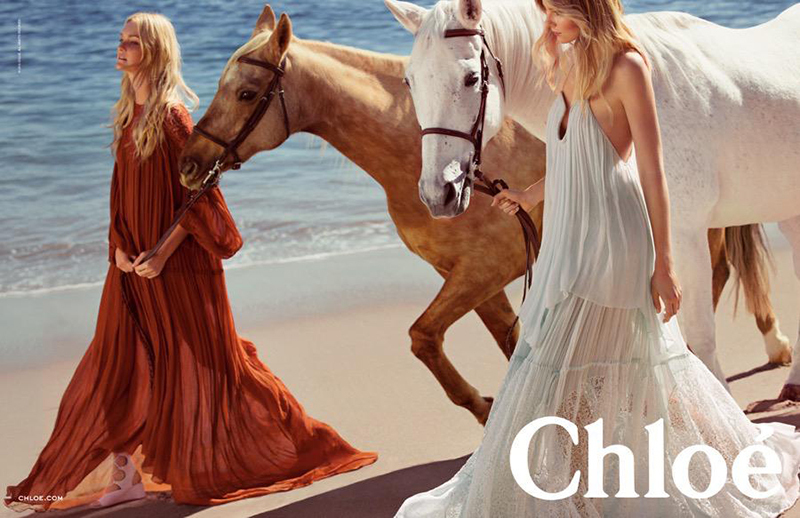 adore all chloe campaigns but i think it this one is my favorite! Oh Chloé is soooo amazing! Every season is on my top designer list!!! So Dainty and Chic! This is an adorable campaign. Chloe’s great! I really love how latest fashion accessories derived from the past. Round and round we go! Love it. Stunning!!! both are looking unique.